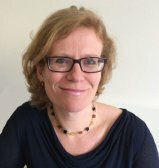 Dr Frances Goodhart is a consultant clinical psychologist. She has over twenty five years experience working in the NHS and other health services. Her specialism is in cancer and palliative care services. Frances is committed to supporting health professionals and teams working in clinical settings through the provision of clinical supervision, reflective practice, teaching and training. Frances is an award winning writer with two books focusing upon practical, evidence based strategies to enhance emotional recovery after cancer and other illness or injury. Frances is not currently providing a private practice for individual clients.